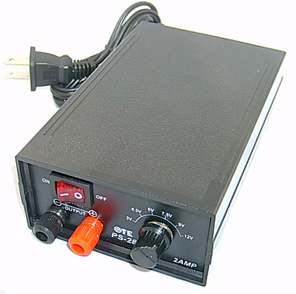 Simple but practical Professional tattoo power supply , This unit has 6 power settings 3 to 12 volts very light weight small , compact easy to travel also has heavy duty banana jacks for durability & stability , With this unit you will never forget where to set the power level for your tattoo machine. 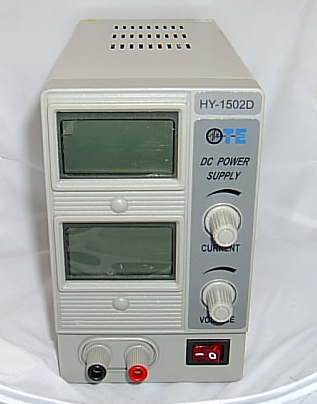 This power unit also has many advantages as it works well with many other electronic devices. 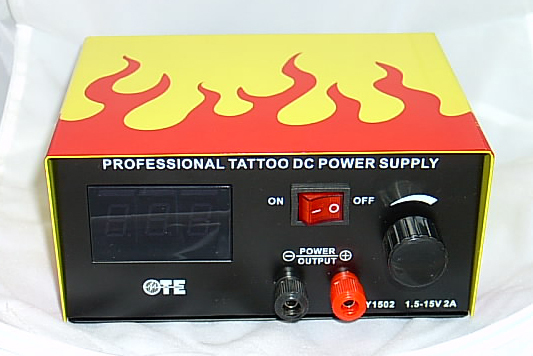 Extreme professional tattoo power supply 0 to 18 volts 2 amp. 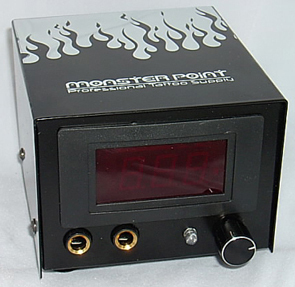 This surperb , over the top , power supply has dual controls , one for voltage & one for amperage , this feature allows you to maxamize the full potential of your tattoo machine. 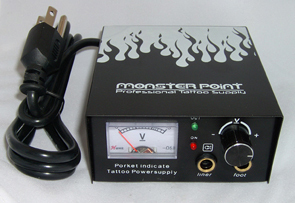 This unit has excellent control over your tattoo machine also has heavy duty banana jacks for maximum preformance. 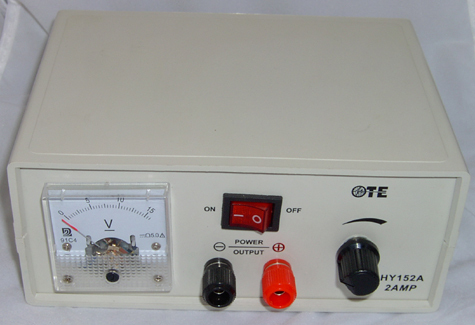 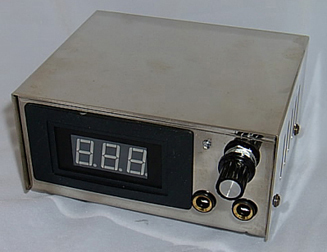 This unit will serve you well as a tattoo power supply & has many other abilities such as electronic lab applications. 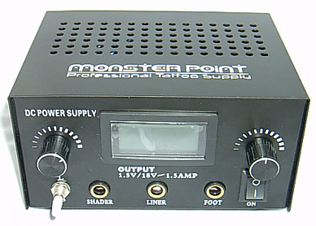 Professional tattoo power supply 0 to 15 volt 2 amps with V U meter also has 1/4" stereo plug foot switch jack & 1/4" stereo clip cord jack, Has red & green LED'S lights to indicate power status, This unit will travel well.